Kenyatta Hill's career began the day his father's ended. Joseph Hill, singer and songwriter for the legendary Jamaican vocal trio Culture, collapsed and died while on a 2006 tour of Europe. To the amazement of promoters, fans and critics alike, Kenyatta stepped onstage and delivered electrifying performances time and again nineteen shows in all until the tour was complete. This was unheard of in any genre of music at any time. Kenyatta gave of himself so totally as his father had for so many years that the two seemed to become one, the eerily similar voices and the vibes igniting the critics and yielding a new reggae mantra â€œmagic, not tragic! Influenced by elements of dancehall, grounded in the roots tradition and motivated to carry on his father's work, Kenyatta set to writing to finish songs that Joseph had started and create new music of his own. On his poignant debut single, Daddy, (Tafari Records), backed by a masterful roster of musicians including Sly Dunbar and Dean Fraser, and produced by Lynford Fatta Marshall, he confronted the emotional pain and uncertainty he felt after the loss of his father. He cried while he wrote, just as audiences in Europe had cried while he sang. Pass the Torch, the complete CD described as having a collector's item feel, was released in 2007 to longtime Culture fans and critics who have embraced the son, named for Jomo Kenyatta, the first Prime minister of Kenya. With its â€œvery lovely and high level vibe Kenyatta Hill's first CD prompted one longtime Culture fan to proclaim Culture is ALIVE. Culture is indeed alive. Kenyatta Hill keeps the Culture Legacy alive along with original founding member Albert Walker and long time harmony singer Telford Nelson, continuing to thrill old and new Culture fans with the classic sounds of the legendary harmony trio. Kenyatta channels the energy, the passion, the voice and mannerisms of Joseph Hill. Overlaid with his own lively and youthful musical vision his performances must be seen live to get the full experience. 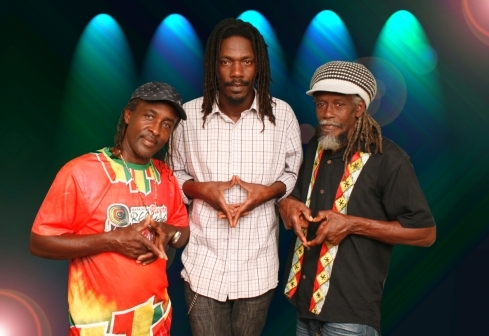 Culture is indeed alive and Joseph Hill remains a primal force in reggae. Culture's legendary Two Sevens Clash (Shanachie) ..was acknowledged by Rolling Stone Magazine as #25 of the 50 all time coolest records (the only reggae album to make the list). and remains an infectious dance floor filler four decades later. The New York Times named Culture as â€œthe leading exponent of conscious reggae, and Hill's devotion to the traditional Rastafarian values of purity, simplicity and justice never once wavered and stands today as an example for all. Upholding the standards set by his father, Kenyatta Hill has continued to write conscious music and perform both in the US and internationally. He has appeared at numerous music festivals and toured successfully with Beres Hammond in 2009 and 2010. 2011 saw the release of â€œLive On,â€œ a highly acclaimed tribute to the music of Joseph Hill and Culture with Kenyatta performing fresh renditions of some of their classic compositions. Producer and head of Penthouse Records, Donovan Germain, on a mission to share classic reggae music with a younger generation has re-recorded the work the music of Joseph Hill, performed by Kenyatta and many of reggaeâ€™s best known artists. Kenyatta has continued to release solo projects and collaborations (Honest Music Label), toured with Culture and on his own to promote these releases including the 10 track â€œRiddim of Life released in 2014 which received worldwide critical acclaim. Kenyatta's most recent release â€œPoliceman (Honest Music) features Akae Beka & Puma Ptah of Thievery Corporation. Continued US and international touring have followed each year especially in the UK and Europe where Culture is always in demand. The 40th anniversary of Two sevens Clash was celebrated with a 2017 tour. A number of North American performances are scheduled for New England and the West Coast in 2018 and include the Sierra Nevada World Music Fest. Yes, Culture is alive and It is magic indeed that audiences around the world can still hear the clear and shining vocals and the message of hope and redemption offered by a truly great artist through the voice of his son.